I am a seasoned solution architect and full-stack software developer with 30+ years of professional experience, specializing in Microsoft's cloud, business intelligence, machine learning, process automation, and collaboration platforms as well as modern mobile/web development platforms such as WordPress and Node. I developed an Azure ML predictive analytics solution and companion suite of micro-services [Azure, .NET core] to provide on-demand cloud-based support for optimized put-option trading. I designed and implemented an extensible widget framework for SharePoint [SPFx, Node, React, TypeScript] that enables web developers to build and deploy connected web components more easily. I implemented a comprehensive SSAS/SSRS data warehouse [Azure, SQL Server] and client-side BI dashboard [WIN32, UWP] for managing residential non-performing loan portfolios. I built a custom web-based enterprise data catalog [.NET, SQL] with dashboards, KPIs and configurable scorecards to enable ad-hoc query, analysis, and validation of enterprise data artifacts across multiple business units. I have extensive experience building custom WordPress CMS solutions and plugins that integrate with external cloud services [Azure, AWS]. I also developed a prototype electronic document and records management solution [.NET, C#, SharePoint Server] for the United States Treasury. I founded the SharePoint Developer Network LinkedIn group with over 6500 members, and I am co-founder and executive director of Works of Wonder International, an NGO committed to empowering individuals and communities to overcome trauma and chronic exposure to stressful conditions. The client required a set of custom WordPress and WooCommerce Plugins that were tightly integrated with their proprietary backend inventory management system developed for Node and hosted in AWS. I was hired to redesign and redeploy their public-facing WordPress website, develop a comprehensive DevOps and software integration strategy and then build out and test the new system. Developed data and system architectures to ensure proper alignment of mission-critical data assets with key business processes and decision support systems. Designed and implemented a custom web-based interactive data catalog with dashboards, KPIs and configurable scorecards to enable on-demand evaluation, analysis and validation of architectural artifacts and to provide a single "source of truth" across all business units. Worked closely with the data analytics and DevOps teams to provide leadership, facilitation, analysis, and design as required to develop data architectures and ensure they were effectively leveraged. The client presented a proprietary algorithm for identifying optimal put-option trades from historical financial data. I was hired to develop a cloud-based microservices framework and web front-end to enable customers to review and analyze their option portfolios using the algorithm to identify trading opportunities. I created a working prototype, single-page website in WordPress and a separate Admin/BI dashboard. The client required a flexible and extensible framework that would enable their developers to build and deploy custom web components ("widgets") in SharePoint pages, while also enabling them to be deployed in non-SharePoint HTML pages. The web components also needed to support composition (one inside the other), and interactivity (via connection points), so that more complex components can be constructed easily. My solution leveraged TypeScript, SPFx, and React.js while hiding the complexities involved in authenticating non-SharePoint components running on SharePoint pages, and hosting multiple inter-connected web parts simultaneously on the same page. Designed and implemented a comprehensive SSAS data warehouse and client-side BI dashboard for managing residential non-performing loan and REO portfolios. The system analyzes real-time data to evaluate strategies for each asset by modeling the probabilities of alternative strategies. As each plan is developed, the forecasted outcome is automatically rolled into the portfolio forecast. Combined curriculum - Law and Computer Science. I know John as one of the leaders of the Florida SharePoint community. John gave numerous presentations in user groups, code camps and later at TechEd sharing his deep knowledge about SharePoint, technology and content management solutions. John has always impressed me with his patient and methodical presentation style and the depth of his sessions. John has a deep understanding and knowledge of Information Worker technologies. He is a SharePoint guru. John is also a great technical mentor who brings valuable experience to the team. John and I have worked together on many SharePoint related issues and have also co-founded the Jacksonville Office Geeks special interest group devoted to SharePoint and Office development topics. John is a highly qualified SharePoint expert and one of the few you come across as a out of the box SharePoint thinker. John's breadth of experience and depth of knowledge positions him well to be a technology mentor and architect on projects. As a member of the team I managed, I witnessed John's strong ability to capture the attention of a diverse group of decision makers and very articulately walk through and build buy-in for the solutions he envisioned. John is at the top of the field with many facets of the Microsoft platform, in particular Microsoft's Information Worker technologies. John has always provided the highest level of professionalism and expertise within our organization and with clients. Only wish I could have worked with him on 'his' projects! Joel Oleson, Director of Strategy & Innovation, Konica Minolta Business Solutions U.S.A., Inc.
John Holliday is an extremely intelligent Architect. He's head and shoulders over his peers. I've on occasion seen him speak and teach. His ability to convey his thoughts and teach complex designs is more than impressive. John is a long time SharePoint MVP and recognized as an expert in our field. I would be happy to work with John on any project at any time. I worked with John at a major non-profit organization where he received significant praise from the customer. I highly recommend John Holliday as a SharePoint consultant with particular skills in records management and content management. John is an intelligent and gifted consultant who can move easily from conversations with C-level executives to working with front-line technical personnel. Hire John to guide you flawlessly from vision to implementation. When I think of John Holliday, three words immediately come to mind: mature, smart and integrity. Every interaction I've had with John has demonstrated just how smart and intelligent he is, not just with the SharePoint technology, but with the connection between the technology and the business layer. John understands both business and technology - a rare combination in today's world. He's also mature. You won't find him acting anything less than his age and he'll expect the same from you. It's refreshing, in this age of "anything goes" to work with a guy who has proper expectations of himself and others around him. Finally, I've found John to be a man of integrity: he does what he says he'll do. But don't stop there, with John, there is always more behind the counter than what you'll see in the glass case. His depth of character and patient understanding of people, business and technology will impress you. I'd highly recommend John for a wide range of consulting and educational engagements. Matthew McDermott, Director / Consultant / Educator / Speaker, Able Blue, Inc.
John has a wealth of SharePoint development experience. His quiet, confident demeanor adds calm and clarity to his projects and presentations. He is an effective speaker and brings his experience to bear in his answers to questions from the audience. I have extensive knowledge and experience across the entire Microsoft stack. I have developed desktop and web applications for the .NET framework across a broad range of programming languages, tools, platforms and environments. I have designed and implemented many solutions for the SharePoint 2003, 2007, 2010 and 2013 platforms, ranging from individual components (web parts, content types, custom fields) to custom features and solution packages. I am thoroughly versed in all aspects of SharePoint architecture, design, implementation and maintenance. I have extensive experience architecting and developing SharePoint solutions since the product was first introduced. I led a team of subject matter experts to create 2 Microsoft SharePoint developer certification exams. 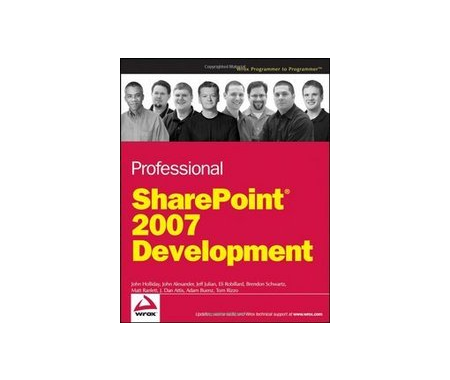 I was the principal author of "Professional SharePoint 2007 Development" published in 2007 by Wrox Press. I have co-authored several other popular SharePoint development titles and founded the SharePoint Developer Network LinkedIn Group, which currently has over 6500 members. I have designed and implemented cloud-based and on-premise data warehouse solutions on the Microsoft Azure and SQL/BI platforms, and I have conducted extensive data analysis and implemented complex data models for private and public sector clients, working with stakeholders to refine their business requirements and to identify the most appropriate information sources, delivery platforms and data visualization tools. I employ a combined "top-down" and "bottom-up" approach to enterprise content analysis that enables my clients to clearly identify critical content elements that drive key business processes. I developed an innovative Structured Relational Mapping (SRM) methodology, which includes analytical techniques derived from well-established principles of software architecture and design, such as Operational Modeling and Dependency Structure Matrix (DSM) analysis, adds relevance to content types by identifying functional groupings that surface through a detailed analysis of their interdependencies, rather than through subjective assumptions based purely on historical or anecdotal evidence. I have designed and built several custom visual modeling tools that integrate with Visual Studio to enable users to construct complex models on a visual design canvas, and then translate those models into various external formats, such as XML or C# code. I am well-versed in the patterns and programming tools and methodologies that are required to build these kinds of tools, which often present unique challenges including multi-threading, event notification, undo/redo and runtime extensibility. I have developed technical training curriculum and delivered technical training courses to 100s of software engineers around the world since 1989. 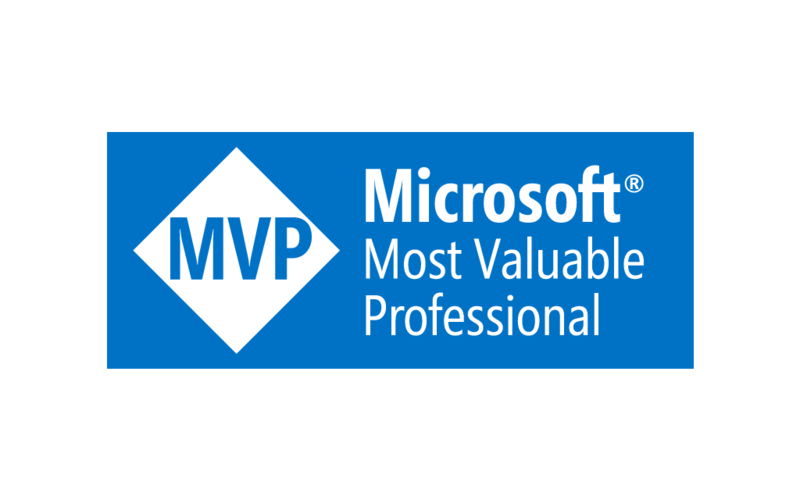 The Microsoft MVP Award is an annual award that recognizes exceptional technology community leaders worldwide who actively share their high quality, real world expertise with users and Microsoft. With fewer than 5,000 awardees worldwide, Microsoft MVPs represent a highly select group of experts. MVPs share a deep commitment to community and a willingness to help others. They represent the diversity of today’s technical communities. MVPs are present in over 90 countries, spanning more than 30 languages, and over 90 Microsoft technologies. MVPs share a passion for technology, a willingness to help others, and a commitment to community. These are the qualities that make MVPs exceptional community leaders. MVPs’ efforts enhance people’s lives and contribute to our industry’s success in many ways. By sharing their knowledge and experiences, and providing objective feedback, they help people solve problems and discover new capabilities every day. MVPs are technology’s best and brightest, and we are honored to welcome John as one of them. To recognize the contributions they make, MVPs from around the world have the opportunity to meet Microsoft executives, network with peers, and position themselves as technical community leaders. This is accomplished through speaking engagements, one on one customer event participation and technical content development. MVPs also receive early access to technology through a variety of programs offered by Microsoft, which keeps them on the cutting edge of the software and hardware industry. As a recipient of this year’s Microsoft MVP award, John joins an exceptional group of individuals from around the world who have demonstrated a willingness to reach out, share their technical expertise with others and help individuals maximize their use of technology. Who Says You Can't Do Records Management in SharePoint?